Programme of meetings to be added. Meetings are usually held at 7:45pm in Beeding and Bramber Village Hall on the first Wednesday of the month. 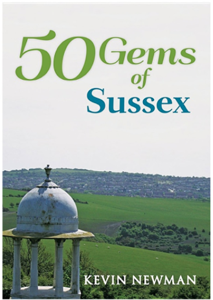 The talks cover a wide range of subjects relating to the history and natural history of the local area and Sussex in general. Visitors are welcome for a £3 entrance fee. Meetings are held at the Billingshurst Community Centre at 7.30 pm. Everyone welcome. Visitors £3 Annual sub £15. Meetings now take place in The Allmond Centre at 7:45pm for 8:00pm. Everyone welcome. Members free and non-members £3.50 including refreshments. 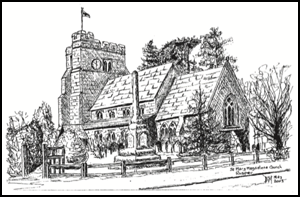 Meetings are held on the second Tuesday of the month at 8 pm (doors open from 7.40 pm) in the Free Church Hall, High Street, Henfield, BN5 9HP (via the side entrance in Coopers Way). Enquiries to Maureen Fletcher, Tel. 01273-492194. AGM followed by “30 Plus Years of Collecting Postcards” presented by Alan Barwick. AGM followed by a talk TBA. 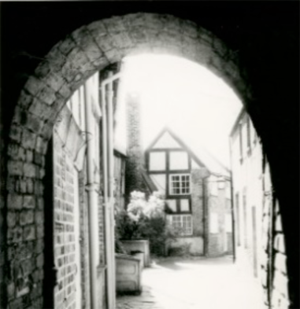 The Group meets regularly to carry out research into the history of Horsham and the surrounding West Sussex/Surrey countryside. New members are always welcome, with or without archaeological experience. 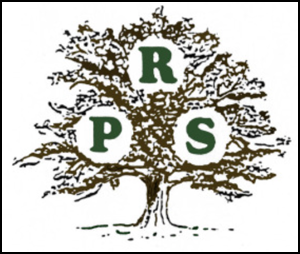 The Society publishes articles in its own newsletter and has also contributed articles to the West Sussex County Times since February 2008. Meetings are held in Rudgwick Village Hall at 7:30pm. All welcome (Free for members and £2 entry for non-members). Meetings are held in the Andrew Hall, commencing at 7.30 pm. Membership dues remain at £10.00 per person for the entire season. Visitors are always welcome at £3.00 per person. Summer evening walk hosted by Derek and Gina Larcombe followed by the annual social evening. Full details to be published in the Spring. 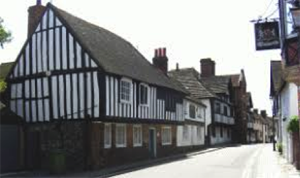 Summer visit to a local place of historical interest is being planned. Full details to be published in the Spring. Our meetings are held at 7.30pm on the first Monday of each month in the Beeson House, Lintot Square. Everyone Welcome . Non Members £3 please. Visitors are welcome at all our meetings, for a small entrance fee of £3.00. The annual membership fee is £10 per person (and the Society year runs from September through to May). 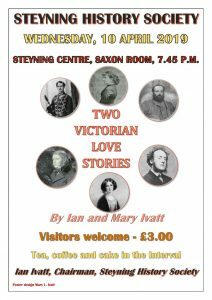 The meetings are held in the Saxon Room, Steyning Centre, Fletcher’s Croft, Steyning, commencing 7.45 pm and running until approximately 9.30 pm with a refreshment break in the middle; we ask for a £1 donation per person at each meeting towards tea, coffee and cake, in the interval. Public meetings with a guest speaker are held on the third Tuesday of alternate months (January, March, May, July, September and November), commencing at 7:30pm, and take place in Partridge Green Village Hall, High Street, Partridge Green RH13 8HP unless otherwise stated. Members £3.50, non-members £5.00. Visit to the Blue Idol, Coolham. 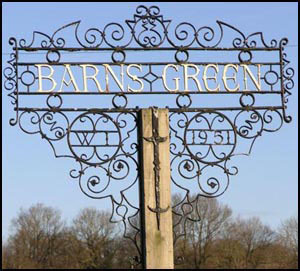 A talk on its history with refreshments in the gardens. Welcome to 460 Years of History! 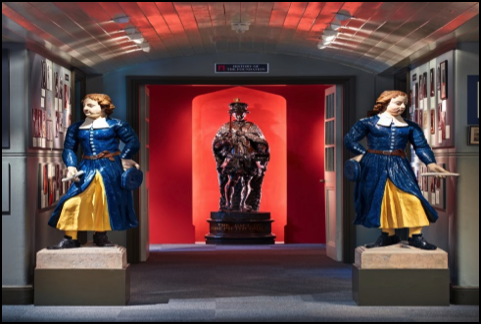 The Museum has a remarkable collection of some 35,000 artefacts and archives dating from 1552 to present day. 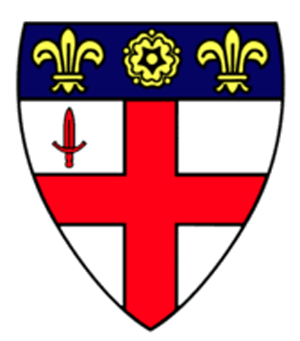 Paintings, photographs, prints, china, sculpture, costume, social history, books, medals, coins, ephemera and much more chart the history of our unique school from its founding and 350 years in London, through its time at Hertford and finally Horsham since 1902. We are staffed by a small team of curators and volunteers who regularly respond to numerous research and family history enquiries, donations, conservation and exhibitions on and off site, learning sessions for pupils across all academic departments, tours for staff, public visitors and Verrio tours. Extensive displays occupying what used to be the old isolation wards for the Infirmary or “Sicker” allow you to explore the school’s illustrious history, boasting patronage from all British monarchs dating back to Edward VI, links with important historical figures such as Samuel Pepys, Isaac Newton, Captain Cook, Samuel Taylor Coleridge, Charles Lamb, Edmund Blunden and Barnes Wallis. Yet perhaps the most interesting areas celebrate the day-to-day life at Christ’s Hospital for its many generations of pupils and staff. Where else at CH can you marvel at a perfectly preserved 1902 Nurse’s Kitchen, a “Lav End” or observe how the uniform and customs at the school have changed, yet equally some remain unchanged for over four and a half centuries? If you’ve no idea what a “Beadle” did and you’ve never seen the “Punishment Bands” for Hertford girls, or indeed realised the devastating impact two World Wars had on CH in the 20th century or the harsh reality of life for pupils in the past….then you need to visit the Museum! As fashions changed, so did underwear. Women’s suspenders were invented in the 1880s. At first they were attached to a belt and later, to the corset itself. Suspenders were recommended by the National Health Society as a healthier option than constricting garters. By the 1920s knickers had become shorter, along with skirts, and by the 1930s both knickers and stockings were made from Rayon – a fibre made from wood pulp that mimics silk. The introduction of the synthetic fabric Nylon in the mid-1930s, alongside the development of new elasticated and rubberised fibres, saw underwear beginning to look like the items that we would recognise today! The West Sussex County Times in 2019 is marking a milestone in the history of the newspaper and the community – 150 years of delivering trusted news. 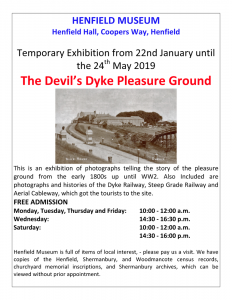 To celebrate this important anniversary, Horsham Museum & Art Gallery will be hosting an exhibition in its Photography Gallery exploring the story of the West Sussex County Times. Using large prints of front pages detailing major events in Horsham’s history, the exhibition illuminates the impact of the West Sussex County Times, and its importance to the town and Horsham District. His home South Lodge caught world attention 10 years ago when the world’s finance ministers descended to sort out the ‘crash’ of 2008, yet the former owner, Frederick DuCane Godman, is virtually unknown today outside specialist areas. In his day, though, he corresponded with scientific greats such as Darwin, collected the finest Islamic pottery in the world and sponsored major expeditions to discover lost civilisations. Today he lies in Cowfold cemetery under a simple decorative cross. However, his legacy in research and collecting lives on as last year The British Museum opened a major permanent exhibition on Islamic culture, The Albukhary Foundation Gallery of the Islamic World which features his pottery. In the hall of the Natural History Museum there is a bronze plaque recording his generosity and a medal is awarded in his name each year for new ornithological work. It is fitting that in the Year of Culture, Horsham Museum & Art Gallery is holding a small temporary exhibition on him and his collections, a prelude to a larger exhibition in 2020. With the help of the British Museum we will be showcasing specially taken photographs of some of his outstanding Islamic pottery. These will be complementing images from an unbound copy of his privately printed book on Islamic tiles that will adorn the room. They will feature alongside paintings of the family who lived at South Lodge, the home he had built in the 1880s, and where, throughout his life, he displayed his growing collection of ceramics. Frederick was a man who was much respected in Victorian and Edwardian society gaining fellowships and recognition for his work from leading scientific and cultural societies. He was a Trustee of the British Museum, a Member of the Royal Institute, awarded an honorary degree by Oxford University, President of the Royal Entomological Society, Vice-President and Fellow of the Zoological Society, on the board and Fellow of the Royal Geographic and Geological Societies, Fellow of the Society of Antiquaries, Secretary and later President of the British Ornithological Union, Honorary member of the American Ornithological Union and a Fellow of the Linnean Society. He was a founding member of the British Ornithological Union and an avid collector of specimens as well as the art of the illustrator. On display will be prints from the John Gould bird books; he owned the original watercolours from the publications, which were dispersed around the world in 1994 following the death of his unmarried daughters who played a notable role, as Frederick did, in local society. One of Fredrick’s finest achievements was the publication of the monumental multi-volume Biologia Centrali-Americana, 63 volumes of detailed research on the natural history and archaeology of Central America. Without his financial support and ambition it would not have been completed or even published. He dedicated the work to his second wife Alice with whom he set out on his original expeditions to the region. There he collected some examples of pre-Columbian pottery as well as entomology and ornithology. Gordon described this exhibition as: “A painter’s rural rides in search of the hidden delights and details”. After 18 months of cycling across West Sussex capturing the essence of the ancient churches that populate the Sussex countryside, Gordon has created an artistic monument and record. 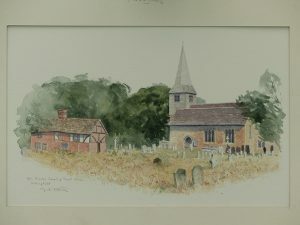 Harking back 200 years when, in search of the picturesque, artists would tour the countryside recording and illustrating unknown churches, Gordon has achieved the same for the 21st century, creating ethereal, romantic, highly detailed but also majestic watercolours of churches hidden in plain sight, buildings that require the artist eye of Gordon Rushmer to uncover them in all their glory. 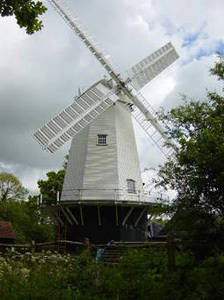 Shelley, Conan Doyle, Belloc, Hornung, Brown, Pope, Lintott – this area of West Sussex has proved to be birthplace, host and inspiration (as well as tomb) of many writers spanning the last 400 years. This exhibition tells the brief stories of these and many others, illustrated with examples of their work to celebrate the literature of the district along with objects and photographs to provide a sense of place. Look out in your local Horsham district library for displays about Horsham writers produced in conjunction with Horsham Writers Circle. With Horsham Photographic Society and Steyning Camera Club. Working together for the first time, these two organisations have photographed amazing and beautiful scenes of the culture and place that makes Horsham district what it is. Starting on 1 January 2018 they have spent 11 months capturing the essence that makes the district. Each photograph is an individual’s response to that inspiration; cumulatively the photographs on show awaken the sense and awareness of what an amazing place Horsham District is. You will not take the district for granted again. 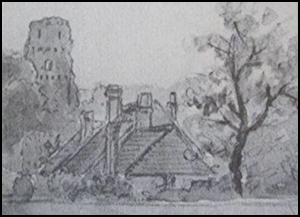 Founded in Horsham by Mr J T McGaw in 1928, this exhibition for the first time traces the history of the Association through the art of former members, alongside outstanding work by its current leading members. Over those 90 years, the art world has changed with new movements shocking the establishment, only to become the establishment itself. This exhibition reveals how the artists residing in Sussex who were members of this leading County Association reacted to the changes. A major exhibition that will use objects to explore the fascinating and largely unknown heritage of the District. Ranging from a silver desk set awarded for the best sheep, a symbol of the agricultural revolution, the flag of the unknown warrior, to a Saxon buried without Christian symbols. Combining objects, photographs and paintings, it will be a real eye opener even for those who think they know the District well. 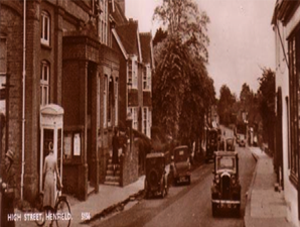 The exhibition is based on the accompanying book produced by the Horsham District Heritage Forum. Humphrey Ocean RA – Horsham Are You Receiving Me? Horsham Museum & Art Gallery are delighted that, Hardham born, artist Humphry Ocean RA is holding a solo exhibition at the Museum after his successful show Birds, Cars and Chairs at the Royal Academy this year. The exhibition will showcase some of his most recent work. A Collector’s Passion – Scottish Oils in a Private Collection. Every now and then the opportunity occurs when Horsham Museum & Art Gallery can showcase work that you will never get the opportunity to see again. This is one such event; a private collector is very kindly lending the best of his collection of Scottish oil paintings. It is different, interesting and colourful and not what you would expect in a Sussex museum – but that is what makes the exhibition exceptional in this Year of Culture. One of the highlights of the year will be the beautiful exhibition by Sarah Duffield whose paintings have captured in her unique way, the colour, vibrancy and picturesque scenery of Horsham District. Showcasing in public for the first time will be the four specially commissioned views of the District along with paintings and prints for sale. It follows the very successful debut show in 2017 at Horsham Museum & Art Gallery. 2019 marks the centenary of the end of World War One. Using dress, paintings, posters, photographs and objects this exhibition looks at how Horsham District marked the end and look forward to a new beginning. Was the hope realised or crushed? This unusual exhibition will help answer the question by revealing what went on when the bullets stopped and peace had a chance. 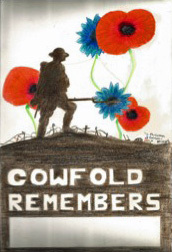 Alongside the exhibition a new book will be launched by local author Gary Cooper: Collyers Horsham Grammar School casualties in two World Wars. It will be sold at Horsham Musuem and a book signing event will take place, with dates to be confirmed in due course.